Need a car short-term? Reserve a Zipcar! 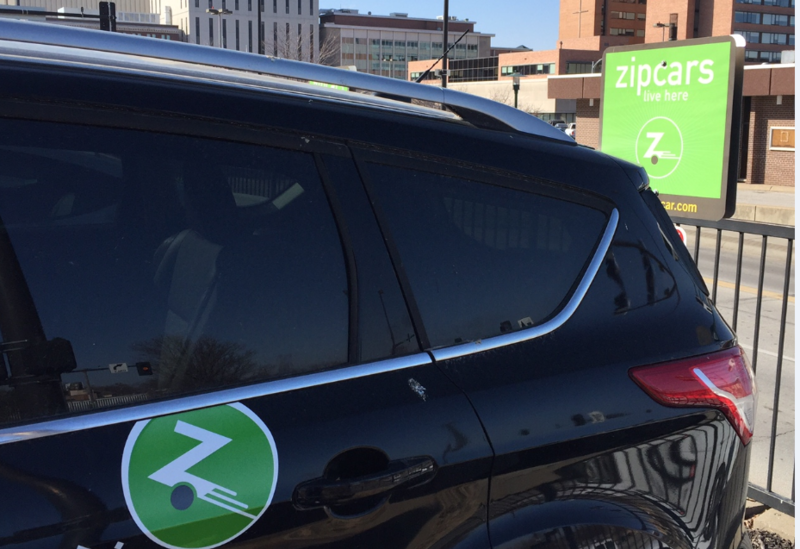 UNMC & Nebraska Medicine have partnered with Zipcar to bring self-service, on-demand car sharing to the area. To use Zipcars, simply register as a member, reserve a car online or on your phone, use your Zipcard to scan into the car, and drive away. When you’re done, return the car to the same location where you picked it up. Discounted hourly rates for faculty, staff and students age 18 and older. Rates start at $8.50/hour or $69/day. Wondering how it works? There are four simple steps to Zipcar freedom. Join today at zipcar.com/nemedcenter. Once you’re a member, reserve a car online or on your phone for as little as an hour or as long as seven days. Scan into the car using your Zipcard. (The keys are already in the car.) Drive away. Be sure to return the car at the end of your reservation. With Zipcar parked right on campus, now located on the SE corner of 42nd and Farnam (corner of parking lot #7), it’s easy to go downtown, do errands, or even road trip. Moreover, since Zipcar covers gas, insurance, and 180 miles per day, you can enjoy the freedom of the open road without any of the extra costs. Zipcars are available at other locations in Omaha, and other cities across the state, country, and globe. Don’t have a car and need to run errands this weekend, or haul an item that doesn’t fit in your car? Zipcar can help with two cars located at the Med Center: “Easyrider,” the crossover/SUV Ford Escape and “Josiephine,” the 4-door Hyundai Elantra Sedan. UNMC employees may be able to use Zipcars instead of personal vehicles for business purposes. Talk to your administrator before use. If you are an international driver, Zipcar may still be available for you, for instance, to take your driver’s license test. For more information on required documents for international students, please refer to www.zipcar.com/apply/foreign-drivers .